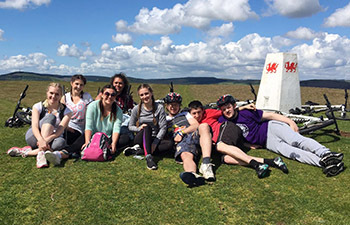 At the end of the first year of BEd (Hons) Primary you will have the opportunity to visit a residential centre in Wales for five days to experience aspects of learning in the outdoors. 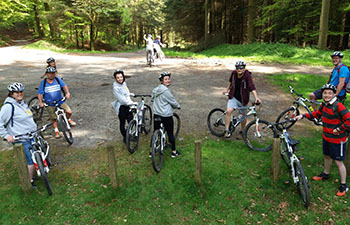 During the residential visit you will participate in a range of activities including map reading, navigation and orienteering, canoeing, fire lighting and cooking in the outdoors, photography and mountain biking. There will be many opportunities to reflect on what primary age pupils would gain from similar activities and how they can be linked to pupils’ classroom-based learning back at school. An important element is how pupils can be encouraged to develop life-skills like tenacity and persistence; co-operation, team working and leadership; social skills and emotional intelligence. Your learning experiences from the visit will be linked with learning in University seminars, workshops and lectures. You will be asked to consider the theoretical underpinning of learning outside the classroom and relate the way the activities are organised and delivered to the theories of learning studied throughout the first year. You will discuss how similar learning opportunities can be provided in and around a school environment while recognising that the residential experiences provide unique learning situations. The residential visit is based at the Brecon Forest Farmhouse, a centre between Brecon and Builth Wells in a very rural part of mid-Wales. Learning about life in relatively remote areas is an integral part of the visit. The centre is run by an educational trust linked to Kings Langley School in Hertfordshire and several schools from the county and beyond use the facilities. The activities are organised and led by University of Hertfordshire tutors, although some experts are used for specialist activities, including canoeing. "The evenings were some of the best team building experiences. The open fire was perfect to relax by and many of the group members came out of their shell and really showed that they were enjoying themselves. It was good not to have any WiFi!" "I had an amazing experience and have made lifelong friends. I truly believe that the skills I have learnt on this trip are more than just the physical ones. The mental and emotional developments that were made by everybody at some point really shone through. The skills will transfer over to my own teaching in so many ways and I believe that I will revisit the experience when I have my own class. If given the opportunity I would love to return next year." "Being able to marry learning theories to activities and having a better idea of how children are learning while enjoying the tasks has given me myriad ideas for possible future outdoors activities, whether at school or on residential visits." "The outdoor residential visit has so many educational benefits for students, not least of which is the opportunity for us to see much of the learning theory we have studied in action and to build excellent ideas for creating our own outdoor learning opportunities." "The little pointers and discussions during the activities were really helpful in giving us things to consider with the children. When we were walking up Gun Hill we were asked to think of enquiry questions that teachers and children might pose. This really made me look and think about our surroundings."